I hadn't known just how impressive this mountain is. Measured from base to peak, it's actually much taller than Everest. It erupts out of the tundra at an elevation of only a couple thousand feet, whereas Everest sits on the Tibetan plateau, so it's at an elevation of 13,000 to 17,000 feet before the actual mountain even begins. 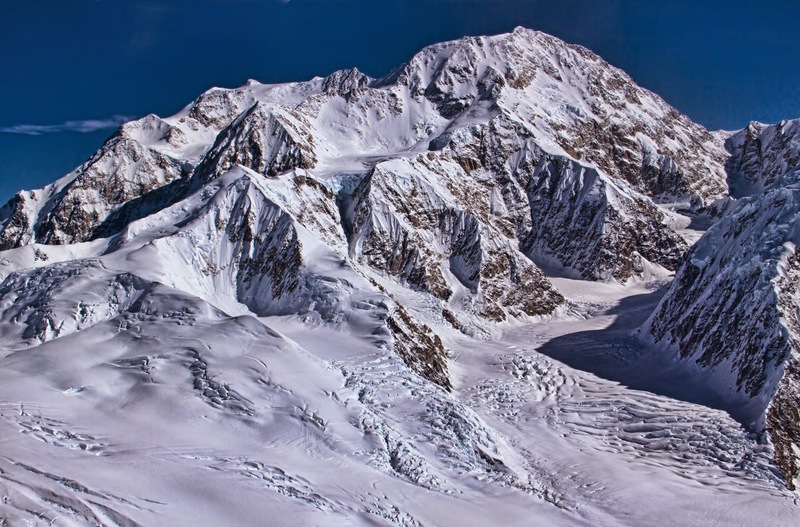 Denali has two summits, several subpeaks that are sometimes listed as mountains in their own right, and five large glaciers. It also has its own weather system, which is part of the reason it's so often invisible.